DidItBetter Software Products Overview for MS Exchange and Office 365 Calendar, Contact and GAL Sync. Try Now! Our innovative DidItBetter Software products are useful for synchronizing data between Exchange folders (public folders, Outlook user mailbox/personal folders, resource mailboxes). Solutions are available for on-premise Exchange Server, Office 365, hosted Exchange, hybrid platforms. Supports automatic global address list GAL sync to iPhones and mobiles, too! Read more about our DidItBetter Software product line up below. We offer a 21-day fully functional trial version of Add2Exchange Enterprise, Add2Exchange 365, or Add2Outlook so you can try the software before you buy. Test calendars, contacts, tasks, posts/mail, notes, GAL sync. Add2Exchange Enterprise is a robust server-side solution which automatically synchronizes items between any combination of Microsoft Exchange public folders and Outlook personal folders with changes possible in either direction based on the settings you select. Add2Exchange Enterprise is a versatile and multi-featured solution which supports synchronization of Calendars, Contacts, Tasks, Posts and Notes folders and automatic GAL sync. Add2Exchange Enterprise is useful for mobile professionals who need to view Exchange public folder information on their devices (iPhones, iPads, Androids, BlackBerry and Windows phones that connect to Exchange). You can create folder relationships based on distributions lists, manage folder relationships with Relationship Group Manager and use helpful built in folder cloning features. Add2Exchange Enterprise works with Exchange Server 2019, 2016, 2013 (and prior versions) and optimized to work with Blackberry Enterprise Server (BES). Ask about Add2Exchange 365 for Office 365, hosted Exchange, and Office 365 hybrid platforms. Sync your Microsoft Exchange global address list to your users’ local contact folder for viewing on their mobiles. GAL synchronization allows you to treat the Microsoft Exchange GAL as the ‘source’ folder to be synchronized one way with one or more ‘destination’ folders — user personal folders, which is where it needs to be for the mobile device to access via Exchange ActiveSync or BES. Protect your data by keeping sensitive work emails in your work inbox instead of forwarding full incoming emails outside your domain. Use this module to send a notification to a user’s personal email address to check his/her work email. Also ideal for when you’re covering for a business partner, associate or co-worker who will be out for a few days, on vacation, personal leave, or even jury duty. The ToolKit has many useful tools to extend and complement the use of Add2Outlook and Add2Exchange, and also provide other special functions such as global form replacement. The ToolKit was developed to provide more power to Outlook users with special reporting, reset and “start over” options. Recovery and Migration Manager is a helpful Add2Exchange tool which fixes folder mappings for relationships in alert due to changes in Exchange folder/mailbox IDs when changes are made to folders with active Add2Exchange relationships. Add2Exchange 365 offers the same sync functionality as our award-winning Add2Exchange Enterprise edition and includes the Group Relationship Manager and GAL Sync Manager. Platforms supported: Office 365, hosted Exchange, on premise Exchange 2019, 2016, (and prior versions). Add2Outlook is ideal for those syncing between two different Office 365 tenants with no trust. You can also use Add2Outlook to sync between two different Exchange servers with no trust. It is a fairly straightforward and simple deployment to be centrally managed by installing Add2Outlook on a single workstation acting as your replication machine – no apps to install on each workstation or mobile device. This solution is also useful for Outlook users who need to replicate between two local PST files or who need to sync a PST file with a hosted Exchange Server public folder or are looking for private to private replication in a hosted Exchange platform. Add2Outlook Sync helps you synchronize calendar, contact, task, post/mail, notes folders across mailboxes and Exchange public folders or sync your global address list (GAL) to users’ personal folders for viewing on mobiles using same replication engine as our Add2Exchange. Sync your Office 365 GAL to users’ local contact mailbox folders for viewing on mobiles. Initialize the GAL sync to selected users and once the contacts are synchronized to your users’ local Outlook mailbox contacts, the mobile device’s sync software (Exchange ActiveSync, BES) takes over for viewing on your mobiles. The Add2Outlook ToolKit has many useful tools to extend and complement the use of Add2Outlook and Add2Exchange, and also provide other special functions such as global form replacement. The Add2Outlook ToolKit was developed to provide more power to Outlook users with special reporting, reset and “start over” options. If you’re looking for a way to sync calendars and contacts in the cloud or don’t have a replication machine to install our sync products on, ask about our Virtual DIB Sync Server with Hosted Add2Exchange/Add2Outlook Sync services. 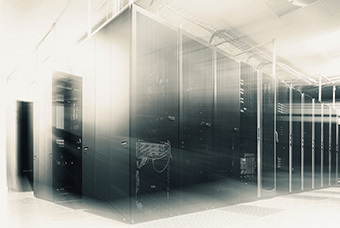 Our hosted sync solutions provide the same features and benefits as our software solutions, eliminate the need to own and operate the infrastructure to support the software, and provide a reliable solution since it’s hosted within an environment with more resources than what an organization may have in place.